The tug between logical and emotional impulses is a tough one to navigate. In an ideal world, nonprofits can align these motivations by serving important causes through a well-run organization and carefully planned strategies. However, the rapid rise of crowdfunding sites may force nonprofits to adapt their strategies. The rise of platforms like GoFundMe is astounding, somewhat like the rise of donor-advised funds, which NPQ has documented. According to the Massolution Crowdfunding Industry 2015 Report, crowdfunding was a $34 billion business in 2015, and donations made up almost $3 billion of that business. On the one hand, crowdfunding campaigns are often cited examples of hope and generosity, such as the campaign that raised money to send an abused bus monitor on vacation, or others that rally supporters to pay for medical bills or disaster relief. It’s heartwarming to see people giving to strangers, and it feels good for the donor to make a personal connection with someone whose life they have undoubtedly improved. As nonprofits know, the causes with the saddest stories and the means to communicate them through crowdfunding’s social media channels aren’t always those that do the most good. Microlending is unlikely to strike an emotional chord with donors, but it supports the growth of businesses owned by people of color in low-income communities, which helps generate both a bigger tax base and greater community ownership, both of which ultimately improve the living situation for all residents. GoFundMe’s CEO Rob Solomon said, “We’re focused on growing the platform in such a way that it helps campaign organizers raise the most money possible. That’s what they want: the highest yield.” But with all this focus on growth, there’s often no mechanism to evaluate the potential impact of a particular campaign. Part of what contributes to the immediate appeal of crowdfunding sites is the idea that the recipient of the money gets to control a much greater share of it. 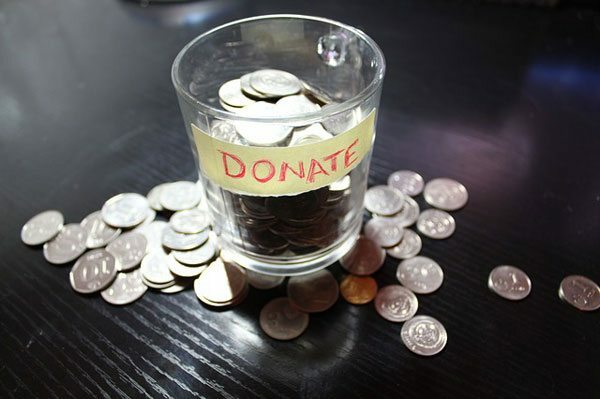 The five or ten percent fee that sites take to process the donation is much lower than the rate of overhead cost for most nonprofits, meaning that the recipients end up with a greater share of the cash. However, that overhead is for things like strategic planning and research, which help nonprofits commit to a bigger cause over the longer term. Crowdfunding platforms rely on the power of stories to motivate donors. Where nonprofits might have development teams, mission-related branding, and data backing their approach to woo donor support, campaigns on GoFundMe and other platforms aren’t generally big enough or long-lasting enough to create this infrastructure. This means missed opportunities to create the long-term stakeholder relationships that would normally be part of donor retention, and which also help develop allies for a particular cause. One could conclude that Republican party is, despite the conventional wisdom, the party that cares about those in need and puts its money where its mouth is. But the true picture is more complex, reflecting at best a real difference between the parties in the best way to approach the challenge of human need.